WOW man, your game looks awesome, I think your project is one of the most advanced UDK Projects out there! Congratulations. Some clothes for the male model. Textures are provisional. I have plan to use diferent materials with different textures to have some variety. In the postprocess I'm using two nodes for AO, the first without SSAO and with an radius of 15, and the second with SSAO and a radius of 2.3. The first produce more shadow dispersion, and the second defines better the shapes. The range for both are 1500 units. More range produce halos and others artifacts. - One dominant directional light (the Sun), whit shadows. - One directional light without shadows, always opposite to the Sun, with a low intensity. This gives some volume to the not illuminated elements. - The ambient light, with the two light sources active, the upper and the lower. Playing with the values, you can achieve some fake GI, or something similar. I also have a automatic exposition system, that works modifiyng the SceneHighLights and SceneMidTones in the PostProccess, using the angle of the camera with the sun. But this system is not very important in the final result. You'll get rich when you release this to steam you know that? Or a bunch of ungrateful whiny #$%*! living in their Mom's basement will ask... 'Where's the Multiplayer dude'? Hopefully Cobalt will win and dump the bank job for early retirement in a plush villa next door to Coldscooter. But you can't make any assumptions about Steam... Unless you've also got a plan for marketing the game etc. Before SteamSpy closed, the numbers were sobering.... Who made it, who didn't, it wasn't exactly egalitarian. Its not just 'release-year' games that you end up competing against, its all past years games on sale too!!! But hey don't take my word for it... Epic has lots of advice here about the need for planning and marketing. in my eyes CobaltUDK is already rich in all the important things.money don't mean ---- in my view.dedication,determination,knowledge and loyalty.i don't know anyone richer. Franktech, I know how important is the marketing, and honestly I don't even know how to do it. In fact is still little known, after several years posting videos and images. Even the spanish blogs don't know about the game. Gaz, I wouldn't mind being a little rich in money too But nothing, I would be satisfied with this going ahead and being able to dedicate myself exclusively to this. For me to be rich would be that. But it's hard, you all know. I work with marketing from over 10 years, even though I never have made marketing for games, however I have got plenty of experience on developing advertising strategies of products (furniture, blacksmith services, timber companies, stores similar to wallmart, petshops, dentists, school, construction companies, and from many other fields) for my clients on facebook, twitter, I also develop websites and e-commerce for companies here in Brazil. 1- First of all I want to finish a polished demo for my game, like the first mission, however I want to polish it as much as I can, to let this be a kind of demonstration of the final product quality. 2- After this I will upload to steam and make this demo free for anyone download. 3- The problem is that no one will download it (even for free) if they don't know my game, so now I need to bring it to people. 6- I will post about my game on many gaming web forums, the much as I can, on both Game Development Forums, and General Gaming Forums aswell (off course for general gaming forum I will not post things like technical speech, unreal script, or other, I just will want to let people know my game and download it for free. Is very important to get people to know about your project from since the beginning, so whenever you release it, you will have a good audience. Last word: NEVER GIVE UP. 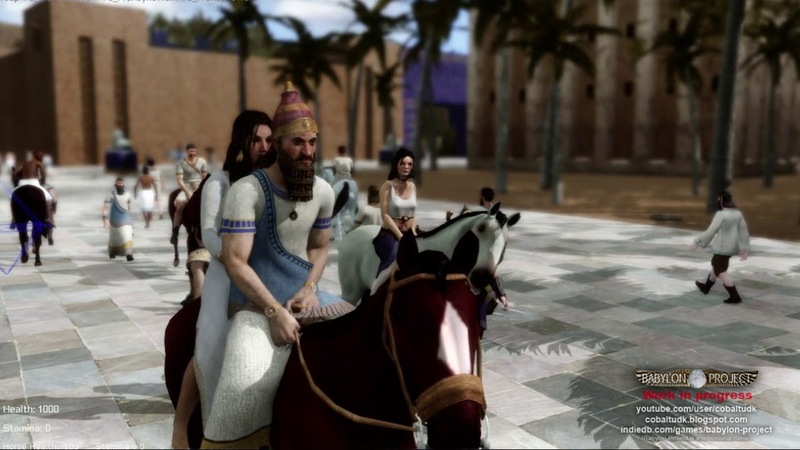 About your game Babylon Project, be sure man it has potential, it is a GREAT GAME!!! Good Luck!!! Last edited by udkultimate; 11-22-2018, 03:18 PM. Thanks udkultimate, basically I'm doing these things. Anyway the game is not finished yet, and the name is not definitive. I think I must reserve something for the last phase, and some money too. Youtubers are the most important, I think. Some of them made videos about the game and it was very effective. The game was in the first positions in the Indiedb ranking some weeks. So I think this is the best way, when the game will be next to be finished (or a demo).